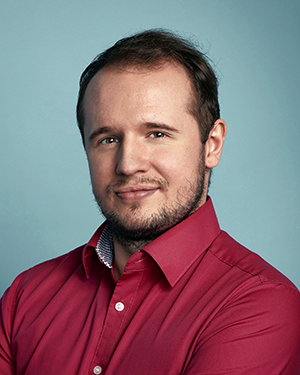 “Thanks to UNYP, I was able to build my corporate identity, stay motivated and do the best job I can do,” says Adam Grof, who now works as a Global HR Services Advisor for Microsoft in the Czech Republic. Six years before beginning at Microsoft, Adam was a freshman at University of New York in Prague. He had the aspiration to work in an international corporation, but he didn’t want the impersonal atmosphere of a Czech state university and was a little self-conscious about his level of English. “I was at the intermediate to upper-intermediate level at the time, and I wasn’t confident when it came to presenting,” he remembers. Once Adam was enrolled, he found that student life at UNYP was engaging as well as practical for his future. The classrooms were smaller, and more interactive. Professors were not just academics, but also professionals in their fields. He chose to major in Communications and Mass Media, achieving the double Bachelor’s degree from both UNYP and SUNY Empire State College. After earning his Bachelor’s degree, Adam continued on to the La Salle Master’s in Professional and Business Communication, now called the Master’s in Strategic Communication, offered at UNYP. The program culminated with a final project, where he had to analyze a real-world business communication problem and propose a solution. UNYP also led Adam to his first job after graduation, working as an analyst for Anheuser-Busch InBev where he managed contracts in their IT system, investigated potential new contracts, and more. There, he used his German and newly improved English skills to help deal with different customers and stakeholders for the company. Then after a year and a half, he moved to Microsoft where he’s been working since 2016. Now, he’s responsible for employee benefits and leave of absences for Germany. While at Microsoft, Adam realized how helpful UNYP’s international student body was in his career. “UNYP has students from all over Europe, Asia, Africa, the US,” he says. “It was a little difficult at first to get used to such different cultures and backgrounds, but Microsoft is the same. 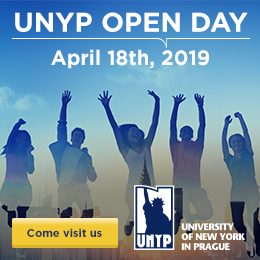 I’m so happy I got that experience.” That international exposure is something that will continue to be beneficial thanks to Prague’s location in Central Europe, which makes it an attractive option for corporations to have offices. It must have paid off. After one year at Microsoft, Adam was promoted and received recognition for his excellent work.